Please note Roar - DJ AKBAR SAMI - Bollywood Nights occurred in past. BACK ON POPULAR DEMAND !!
" DJ OF THE DECADE :. 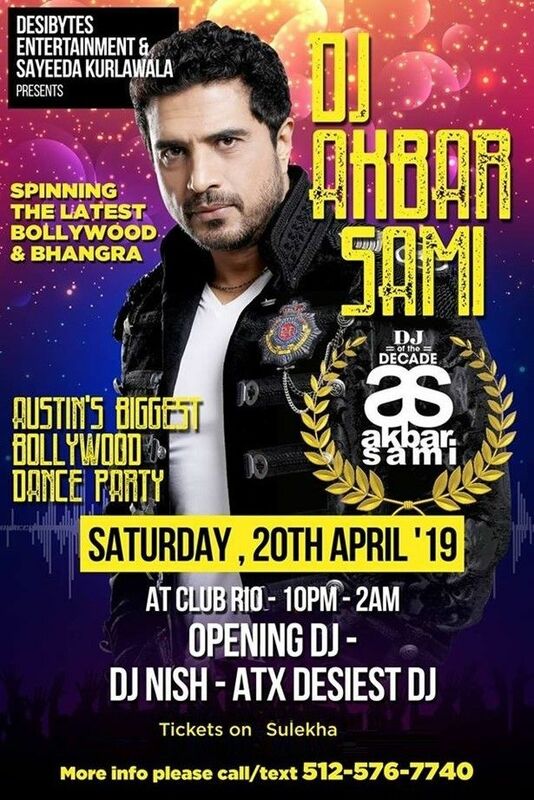 LEGENDARY DJ "
Coming all the way from Mumbai to the music capital of US - Austin -TX !! 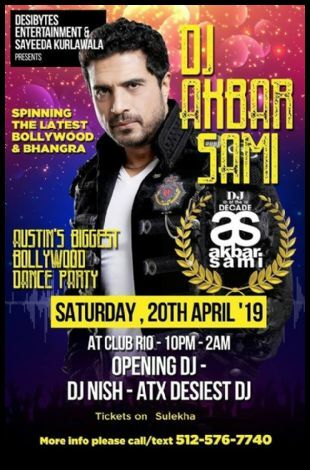 Opening act - DJ NISH - " Austin's Desiest DJ "
Don't miss this opportunity to Dance to DJ AKBAR SAMI as he spins the Lastest BOLLYWOOD :. BHANGRA :. TELUGU & TAMIL Songs !! SATURDAY - 20th APRIL - Doors Open at 10pm - 2am ! !